Very SOFT and SILKY * BELLA Ruffle * Frilly (mesh) Net Style Yarn with Chenille edge yarn. 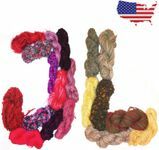 Try the newest * BELLA Ruffle * - quick-to-knit yarn! This unique fishnet (mesh) style yarn creates a wonderful twisted and ruffled effect. 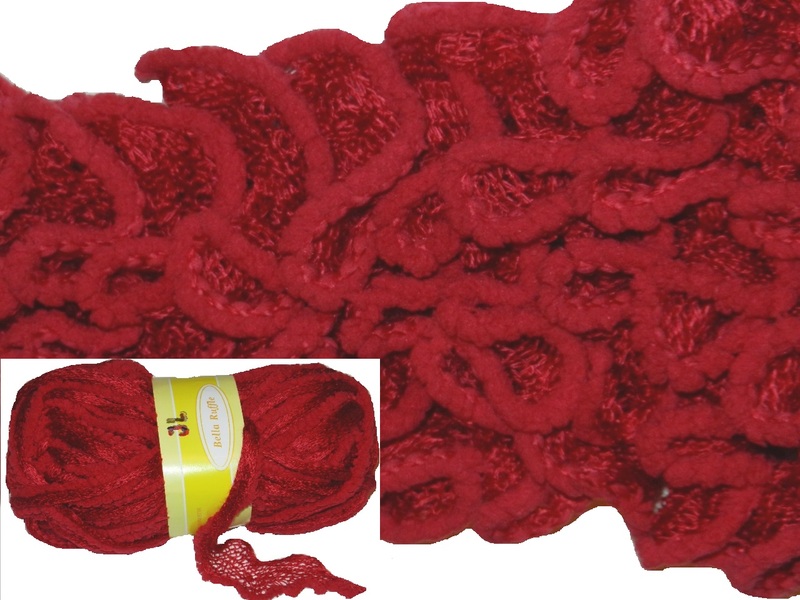 Knitting with ruffle yarn is very easy and knitting a ruffle yarn scarf is a quick project. Simply spread open the tape and use the loops to knit and crochet beautiful scarves, accessories and trims. Each skein will make one scarf. ONCE YOU TRY IT, YOU WILL LOVE IT!